Ten-year-old Zamarii dreams of a future where he and his brother—Malakii—can run until their sides ache and stay up laughing about their adventures. The reality is that Malakii is physically unable to walk up to his brother and give him a hug. 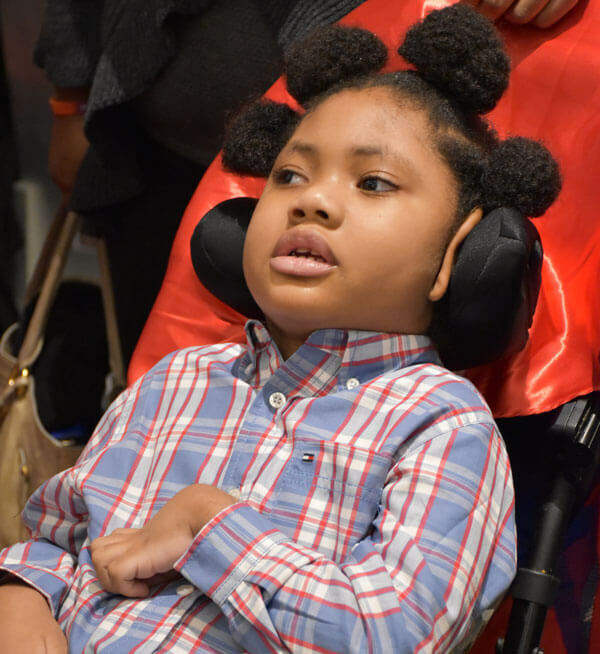 Malakii was born with a nervous system disorder that prevents him from walking and talking. And yet, that hasn’t stopped Malakii’s family from dreaming these adventures to life in the form of a wish. When you help to grant a wish, you replace fear with confidence, sadness with joy and anxiety with hope. For that, we thank you. Right now, we have enough children waiting for their wishes to fill up more than seven school buses. There’s a long line of kids waiting for their wishes, including Alicia who wants to visit an octopus farm. Can you make a wish and transform lives? Susie makes wishes come true in two ways and so can you! Long-time wish-granting volunteer Susie Naye sees first-hand the difference wishes make for children facing critical illnesses and their families. It’s this ability to bring joy to families in the most difficult times paired with the friendships she’s built over the years—with other Make-A-Wish volunteers, staff and wish families—that’s kept her coming back for almost 25 years. And it’s what inspired her to join a special group of donors committed to making wishes possible every month of the year. For more information about monthly giving, contact Sophie Boyer, annual giving and donor relations manager. 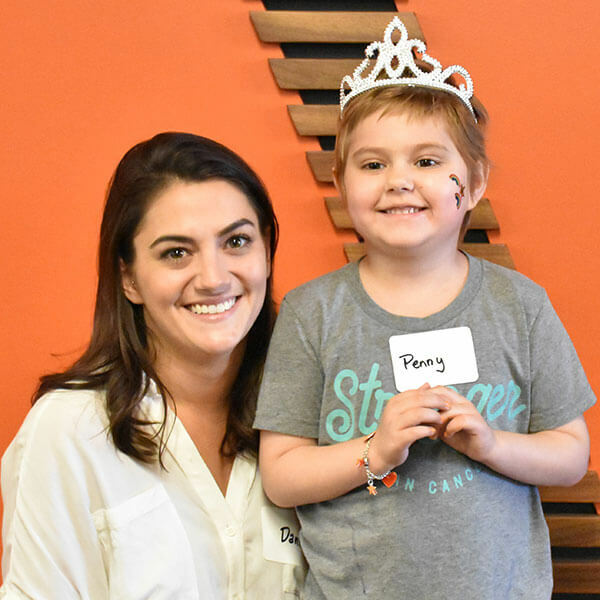 When marketing manager Dani Oster came to Venture General Contracting, she saw an opportunity to reinvigorate philanthropic giving within the company. “Make-A-Wish allowed our staff to rally behind a common, tangible goal together,” she said. Dani developed a passion for Make-A-Wish after witnessing a wish experience fulfilled. Immediately she was drawn to the tangibility of the mission and wanted to share it. 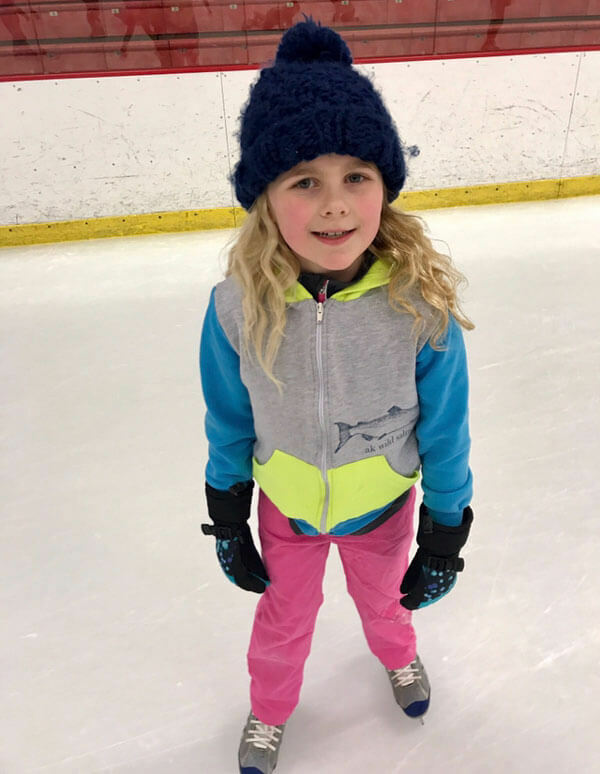 Getting Venture to fundraise as a company through the Adopt-A-Wish® program was easy because her coworkers were able to see the direct results of their efforts. The key to success for Venture? Never underestimate your network and the power of sharing a child’s story. You’ll be surprised at how many people jump at the opportunity to help when you do. Venture’s giving has been recognized by a much larger network. And it gives employees something to be proud of. “It’s really heartwarming to see how a child’s wish can bring an entire community of people together,” Dani said. If you’re like Dani and want to engage your company by sponsoring a life-changing wish, contact Sarah Hammann. 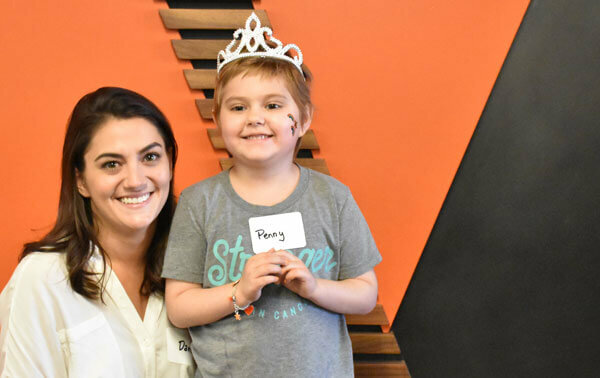 By rallying its staff together, Venture sponsored Penny’s wish to visit her favorite theme park. After 27 years of service to local wish families, Make-A-Wish Alaska and Washington CEO Barry McConnell is moving on to the next chapter of his life and career. Barry looked back on some of his favorite memories, biggest accomplishments and hopes for the future. Q: What would you like to say to the volunteers, board and community members who have rallied behind the mission? Thank you! Our organization is incredibly dependent on stakeholders outside of the staff to deliver our mission. 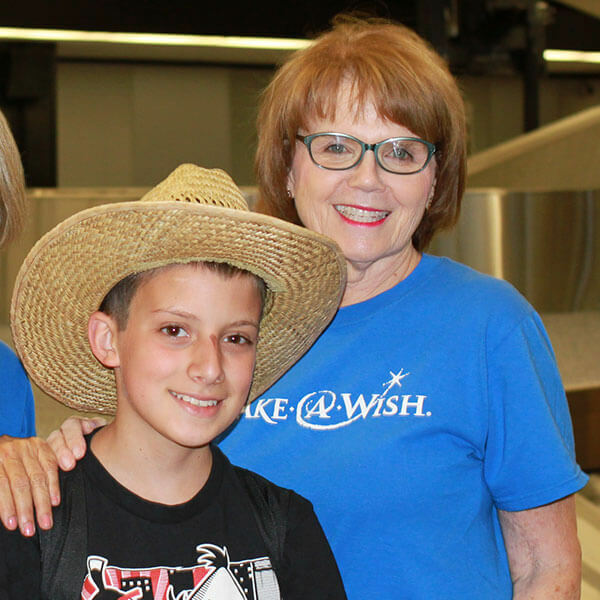 We simply can’t grant wishes without our volunteer base—that’s more than 700 volunteers strong. They have the best job; they have the most dynamic experience; they are ambassadors in determining and delivering life-changing experiences to wish families. Q: Tell me about a wish that’s stuck with you. It becomes impossible to choose! Each wish is so unique to each child and will always be special. I plan to sign up to be a wish-granting volunteer! Q: What do you hope to see for the future of Make-A-Wish Alaska and Washington? We’re poised to accomplish something incredible—to grant a wish to every eligible child and be able to sustain that every year. Very few nonprofits are able to achieve their organizational ideal, and we are right on the doorstep. And we can only get there with the continued support of our community. Yes, I want to transform lives! 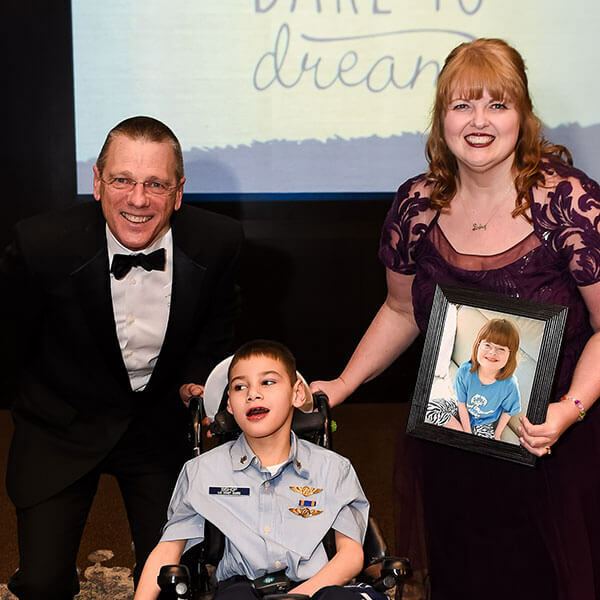 Wish mom Cindy captivated the audience at Wish Night® with the story of her daughter Lindsey. She took to the stage with a powerful message. “Now that she’s gone from this earth and memories are all I have, one of my most precious ones is Lindsey’s face, lit up with delight as her wish came true,” Cindy said. Every day, at least one child in Alaska and Washington is diagnosed with a critical illness and we are not reaching them all. 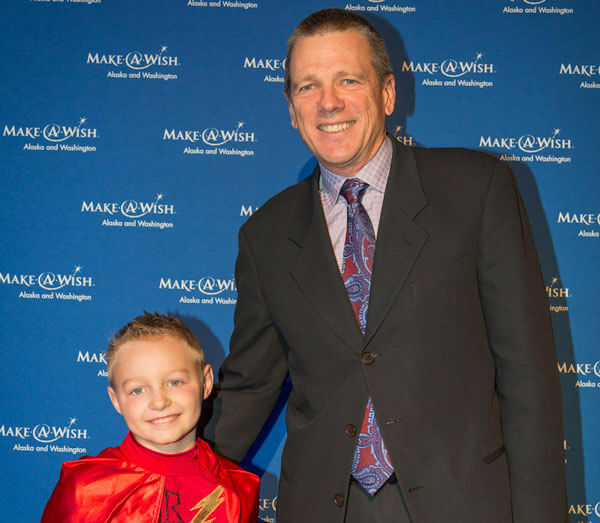 We need you more than ever so we can reach our vision to grant a wish to every eligible child. You can make wishes soar! 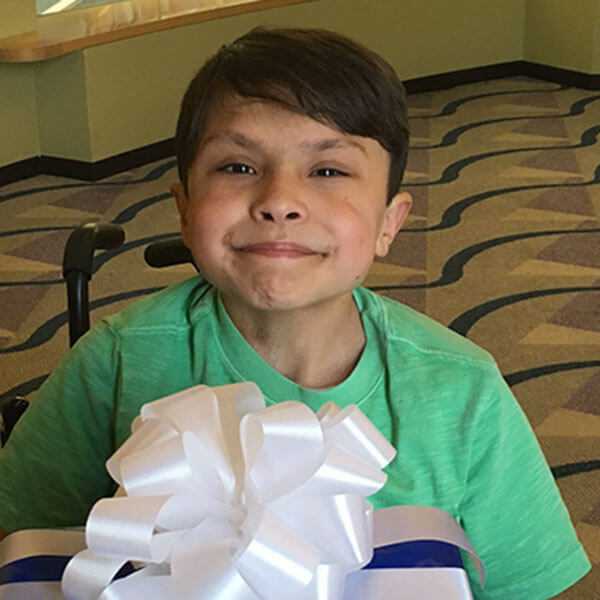 Each year, hundreds of local wish kids like Hilario make wishes that involve travel. Tune in to KOMO 4, KOMO News 1000AM/97.7FM, Seattle Refined, STAR 101.5 and Talk Radio 570 KVI on August 2, 2018 from 6 a.m. to 7 p.m. and donate your miles during our Wishes in Flight® mileage drive. Special thanks to Official Airline Partner Alaska Airlines. 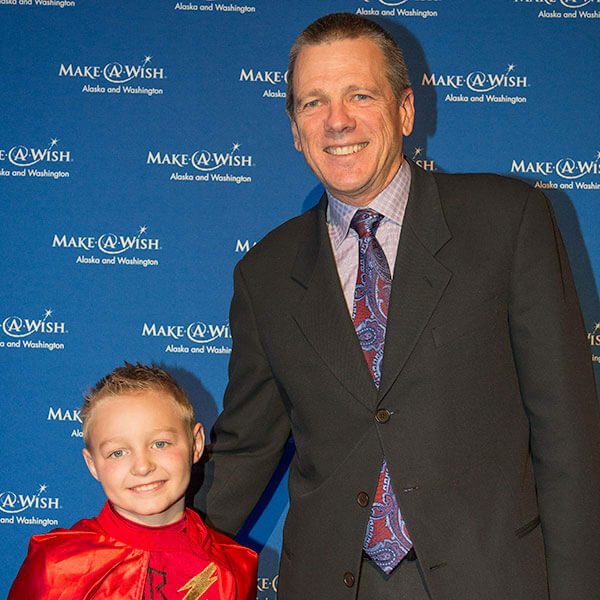 We need more than 80 million miles annually to send wish kids and their families on their wish trips. I have miles to donate! 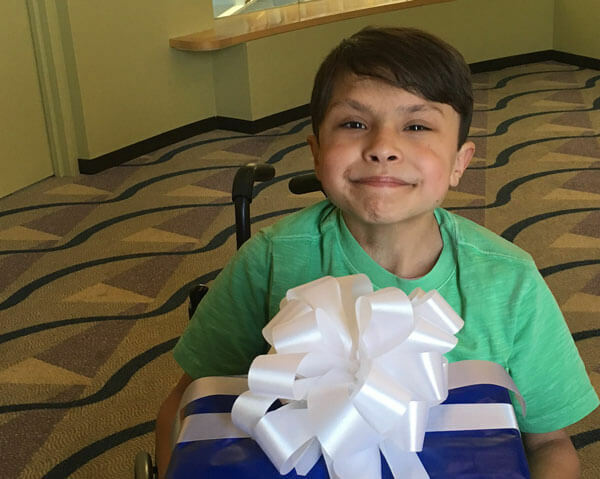 Twelve-year-old Hilario wished to visit The Wizarding World of Harry Potter. 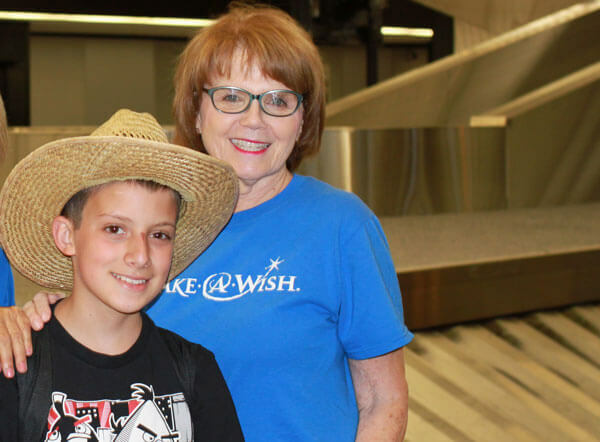 His wish trip wouldn’t have been possible without your donated miles!